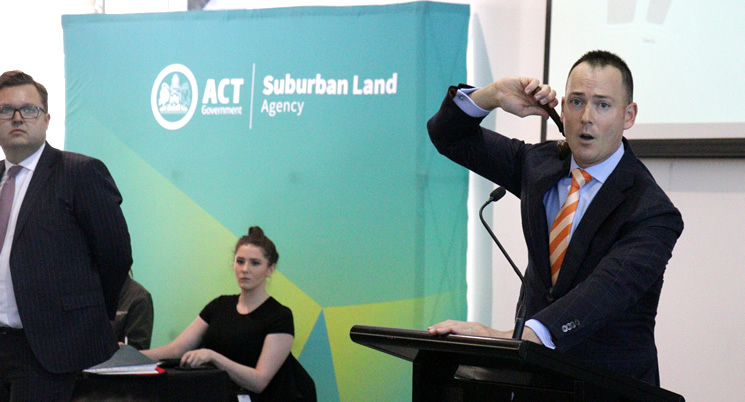 The ACT Government has worked closely with the community over many years to refine plans for redevelopment of the Canberra Brickworks. The outcomes of previous community engagement have informed the decision announced in late August 2015 to reduce the redevelopment area and focus on transforming the Brickworks and surrounding sites into a vibrant showcase of sustainable urbanism, benefiting Canberrans for generations to come. In October 2015 community stakeholders were invited to participate through a community panel forum. 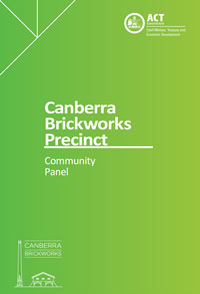 Members of the Canberra Brickworks Community Panel represent their groups, organisations or associations which have a non-commercial interest in the redevelopment of the Canberra Brickworks Precinct (CBP). The Community Panel actively participated and contributed to different stages of the land sale process. The commercial nature of the sales process was subject to probity protocols and regular review of adherence to these protocols. The Community Panel worked with the ACT Government to establish a set of precinct objectives which were incorporated into the Request for Proposal (RFP) documents for release to the market on 2 April 2016. These precinct objectives included expectations and needs of the represented communities. The Community Panel reviewed the five development proposals received by the ACT Government in June 2016 and provided advice in relation to how individual proposals addressed and responded to the precinct objectives. Their advice was considered during the evaluation process and two proposals were shortlisted. The Community Panel met with the two Tenderers during the tender preparation stage to discuss their proposals. In January 2017, two tenders were received and the Panel was invited to review the two submissions and provide further advice to the ACT Government for consideration. This advice was included in evaluation process which helped identify the preferred tenderer. The statutory processes, including the Development Application approval process, will also offer opportunities for formal public comment. The relevant Government body will provide public notification when required.